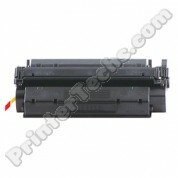 C4182X MICR toner compatible for check printing on HP LaserJet 8100, 8150 series. Estimated page yield is 20,000 pages at 5% coverage. C4191A (Black) Color LaserJet 4500, 4550 compatible toner. Estimated page yield is 6,000 pages at 5% coverage. C4192A (Cyan) Color LaserJet 4500, 4550 compatible toner. Estimated page yield is 6,000 pages at 5% coverage. Imported. C4193A (Magenta) Color LaserJet 4500, 4550 toner. Estimated page yield is 6,000 pages at 5% coverage. 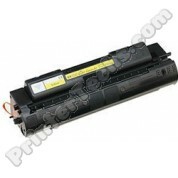 C4194A (Yellow) Color LaserJet 4500, 4550 compatible toner. Estimated page yield is 6,000 pages at 5% coverage. 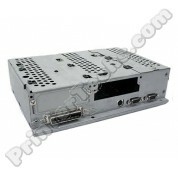 This is a refurbished formatter assembly, HP part# C4251-67909 (alternate part# C4185-60001). 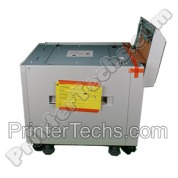 For use in the HP LaserJet 4050, 4050N, 4050T, 4050TN series printers. (Not for use in the HP LaserJet 4000 series). Formatter and cage only; memory DIMM not included. 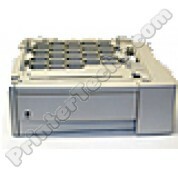 This is a refurbished formatter for use in the HP LaserJet 8150 , 8150N, 8150DN. (NOT for use in the HP LaserJet 8100 series.) 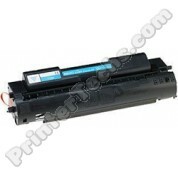 HP part# C4265-67901. Formatter assembly only; memory DIMM not included.